I put together this quick video for anyone interested in knowing more about the Zillow Premier Agent program. All prospects generated from the program on Zillow are "at will" contacts, meaning they are not leads that are purchased and then sold back to agents. They research, shop, run some numbers, then make contact with the local Premier Agent in their area, it's that easy. Zillow has data now on more than 110 million U.S. homes. In March of 2013, Zillow had more than 50,000,000 unique users visit the site via the internet and mobile. 50% percent of that traffic came from mobile and 60% percent came from mobile on the weekends. That's 239,000,000 homes viewed in March alone, or 89 homes per second. 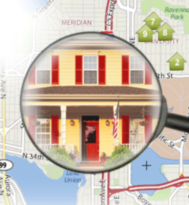 Nearly 270,000 reviews of local agents have been submitted by our users. The Premier Agent program is the perfect conduit to connect YOU with consumers in your local markets.